Whale Watching Maui October - Can You Find Whales in Maui in October? 0 item(s) with a total of . 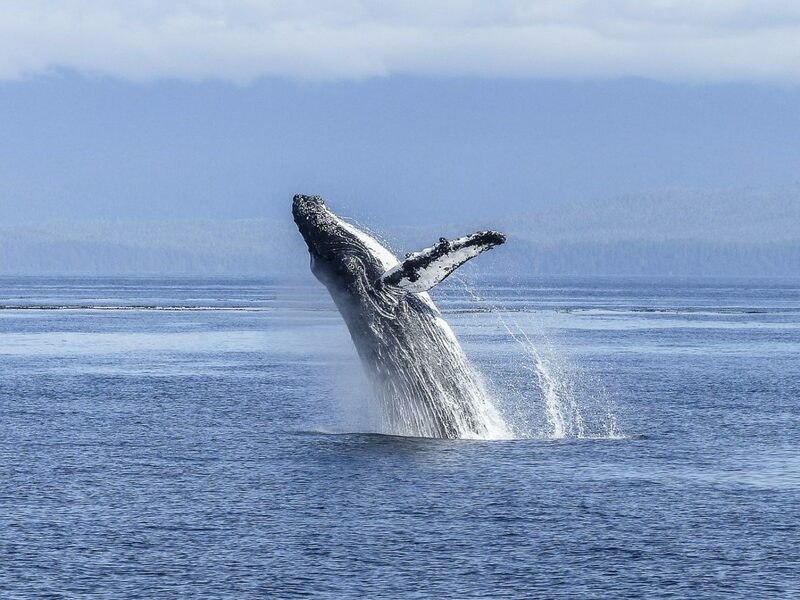 Are you visiting Maui this October hoping to catch a glimpse of the majestic humpback whales? We hate to be the bearers of bad news, but there is no whale watching Maui in October because there are no whales in Maui in October! Humpback whales are only in Maui half the year, from December until April, creating an amazing opportunity to observe humpback whales in their natural habitat. Humpback whales migrate to Maui for breeding and birthing in our warm waters, far away from predators like Orca. Whale watching in Maui begins December 1st, as they begin to make their way down from Alaska. The whales spend their summers in Alaska feeding and do not feed when they are in Maui. Their behavior is very different when they are on Maui and we see displays including courtships from multiple bulls (male humpback whales) pursuing a cow (female humpback whale), cows teaching their calves (baby whales) how to breach, juvenile whales playfully interacting, and humpback whales just enjoying Maui’s protected sanctuary. For the month of October, we spend time snorkeling and dolphin watching in Maui and Lanai’s crystal clear waters, and waiting in anticipation for our amazing humpbacks to arrive again in just a few months time! © 2018 Ultimate Whalewatch & Snorkel. Site by Brand & Brush. 24 Hour Cancellation Policy. By checking this you acknowledge no pregnant women, infants under 4 and no one with back injury. 24 Hour Cancellation Policy. By checking this you acknowledge no pregnant women, infants under 5 and no one with back injury. Upgrade to include Food and Beverage Service. This service includes Continental Breakfast and Deli Lunch, Drinks and bottled Water for only $15 per person. Add this option on the next screen, just click the Continue button.